Buhari meets Bola Tinubu in London – Royal Times of Nigeria. 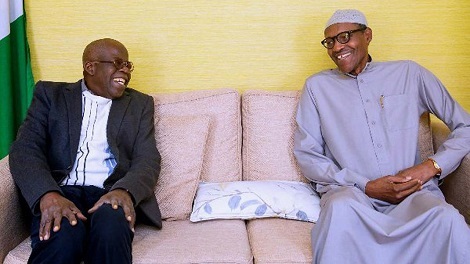 President Muhammadu Buhari on Sunday met behind closed doors with chieftain of the All Progressives Congress (APC), Asiwaju Bola Tinubu, in London. The President’s Personal Assistant on Social Media, Alhaji Bashir Ahmad, made this known on his twitter handle, @BashirAhmad, in Abuja.